Substitute recruitment and employment for Green Local Schools is managed by Rachel Wixey & Associates. As an employment service provider for Green Local Schools, Rachel Wixey and Associates maintains a pool of viable substitutes to function as replacements (short-term or long-term) for absent full-time teachers, educational aides or montors and secretaries in the district. Rachel Wixey and Associates is committed to providing Green Local Schools with qualified substitutes who maintain professionalism, reliability and flexibility and a sincere dedication to the students the district serves. 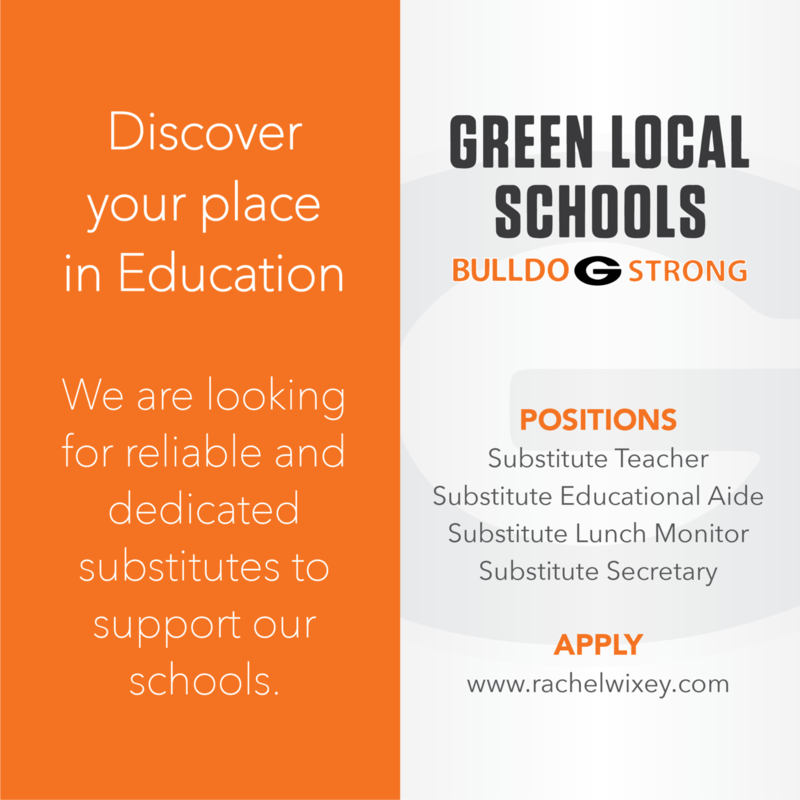 If you would like to be a part of the Rachel Wixey & Associates team for Green Local Schools, please click on the link below to be directed to an online employment application. Rachel Wixey & Associates is committed to providing equal employment opportunity to all applicants and employees. You may also be interested in these opportunities. Click below to let us know!